The short stories of Strange Medicine are bizarre and enchanting. There’s an emphasis on pulling habitual people away from their familiar routines, challenging their beliefs – or seeing how far they would go to retain those beliefs in the face of broad opposition. And in that course, the reader’s assumptions, beliefs and habits are challenged. I even found myself feeling an appreciation for the work of a mime! This is magical realism at its best, its most intriguing and unsettling. The protagonists are such ordinary, recognisable characters, guilty of apathy, of willful ignorance, of casual cruelty. But they are also guilty of love and compassion – consuming love, determined love, bewildering love. I read this on my commute, which is perhaps why I recognised so much action and emotion from these stories in myself. I also missed my tube stop, which I have never done in over a year of commuting. These are the stories of the people who are so wrapped up in their own lives that deviations can be obliterating… Or they can be the ultimate affirmation of what they knew all along. Also, omnipresent shoulder-fish. That is all. 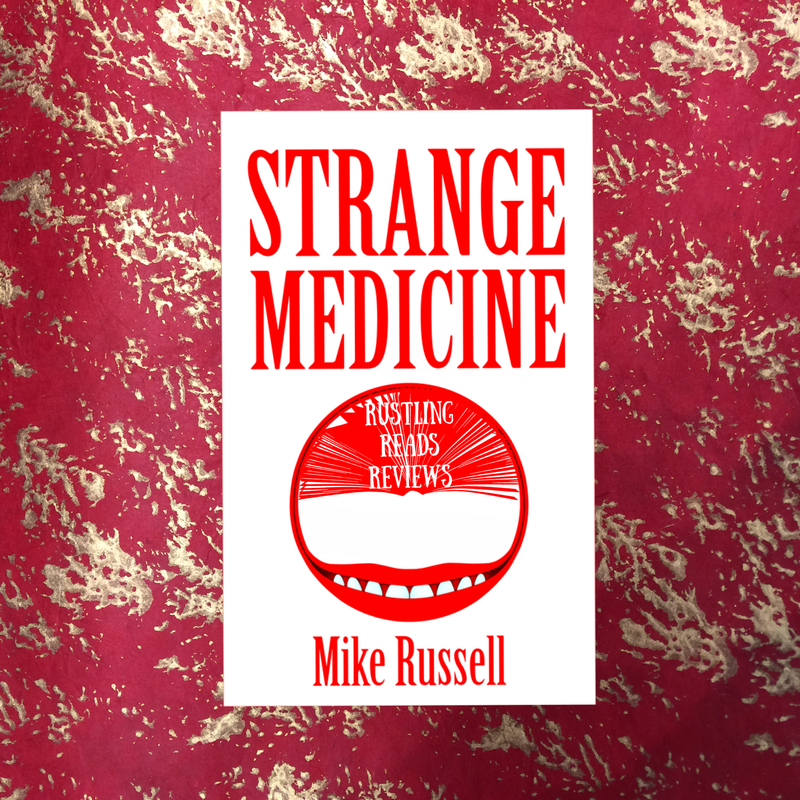 Strange Medicine by Mike Russell was published by Strange Books in May 2016. You can buy it from Amazon here.